HAVE you ever wondered what a ground kick is? Below are the definitons of all the key stats used by Champion Data. Note, we have left the self-explanatory stats blank. Using deception as the ball carrier to beat an opponent, by sidestepping or feigning disposal. A minor score, as judged by the goal umpire. Behinds are worth one point to a team's total score. Creating a behind by getting the ball to a teammate either via a disposal, knock-on, ground kick or hit-out, or by winning a free kick before the advantage is paid to the goal scorer. Effectively shepherding an opponent out of a contest to the benefit of a teammate. Evading a tackle attempt by an opponent and legally disposing of the ball in space. Handballs that give possession directly to the opposition. Kicks that give possession directly to the opposition. Credited to the player who has the first effective disposal in a chain that clears the stoppage area, or an ineffective kick or clanger kick that clears the stoppage area. Using the hand to knock the ball to a teammate's advantage rather than attempting to take possession from a contested situation. When a player takes a mark under physical pressure of an opponent or in a pack. A possession which has been won when the ball is in dispute. Includes looseball-gets, hardball-gets, contested marks, gathers from a hit-out and frees for. A type of groundball-get that is won by a player at ground level after a marking contest. The player must not be involved in the original contest. Crumbing Possessions can be either hardball or looseball-gets. Legally getting rid of the ball, via a handball or kick. A handball to a teammate that hits the intended target. A kick of more than 40 metres to a 50/50 contest or better for the team or a kick of less than 40 metres that results in the intended target retaining possession. The initial possession that follows a stoppage, including a looseball-get, hardball-get, intended ball-get (gather), free kick or ground kick. When an infringement occurs resulting in the opposition receiving a free kick from the umpires. When a player is interfered with and is awarded a free kick by the umpires. Possessions that were a result of a teammate deliberately directing the ball in the player's direction, via a hit-out, disposal or knock-on, excluding marks and handball receives. Gathers from a hit-out are contested possessions the rest are uncontested. A possession gained from a teammate's hit-out to advantage. Counted as a contested possession. A major score, as judged by the goal umpire. Worth six points to a team's total score. Creating a goal by getting the ball to a teammate either via a disposal, knock-on, ground kick or hitout, or by winning a free kick before the advantage is paid to the goal scorer. Contested possessions won at ground level, excluding free kicks. Groundball gets can either be hardball gets or looseball gets. A deliberate kick without taking possession that gains either significant distance from the point of contact or an uncontested possession for a teammate. Disposing of the ball by hand. A disputed ball at ground level under direct physical pressure or out of a ruck contest, resulting in an opportunity to effect a legal disposal. Knocking the ball out of a ruck contest following a stoppage with clear control, regardless of which side wins the following contest at ground level. Winning clear possession of the ball from the opposition ruck's hit-out. A hit-out that directly results in an opponent's possession. A hit-out that reaches an intended teammate. Holding the ball in when the umpire calls for a ball up. Ground kicks that are not advantageous to the team, but do not directly turn the ball over to the opposition. Handballs that are not advantageous to the team, but do not directly turn the ball over to the opposition. Kicks that are not advantageous to the team, but do not directly turn the ball over to the opposition. Moving the ball from the midfield into the forward zone. Excludes multiple entries within the same chain of possession. Recorded when a player inside the forward 50 is clearly the sole target of a teammate's kick into the forward 50. The inside 50 target player will be recorded regardless of the outcome of the kick. When a player kicks the ball back into play after an opposition behind. Kick-ins are regarded as a function of the team and do not count as kicks, although they are similarly graded for quality. When a player records an inside 50 for his team by kicking the ball from the midfield zone into the forward line. A long kick that results in an uncontested possession by a teammate. If an error is made by the player 'receiving' the kick, a 'kick long to advantage' is still recorded for the player kicking the ball. When a player uses his hand to knock the ball to a teammate's advantage rather than attempting to take possession within his team's chain of play. A kick of more than 40 metres to a 50/50 contest or better for the team. A disputed ball at ground level not under direct physical pressure that results in an opportunity to record a legal disposal. When a player cleanly catches (is deemed to have controlled the ball for sufficient time) a kicked ball that has travelled more than 15 metres without anyone else touching it or the ball hitting the ground. An uncontested mark taken after outsprinting an opponent. Playing on immediately without retreating behind the mark. Attempted tackles that are missed, allowing the ball carrier to break into space. Being isolated in a one-on-one contest as the defender. Being isolated in a one-on-one contest as the target of the kick. Moving the ball from the defensive zone into the midfield. An uncontested possession that is the result of a teammate's handball. Taking possession of the ball directly out of the ruck. Touching the ball to the ground, either directly or via a bounce, to allow a player to avoid being penalised for running too far. Creating a score by getting the ball to a teammate either via a disposal, knock-on, ground kick or hitout, or by winning a free kick before the advantage is paid to the goal scorer. A kick of less than 40 metres that results in the intended target retaining possession. Does not include kicks that are spoiled by the opposition. Suppressing an opposition disposal by either changing the trajectory of the ball immediately after the disposal or by blocking the disposal altogether. 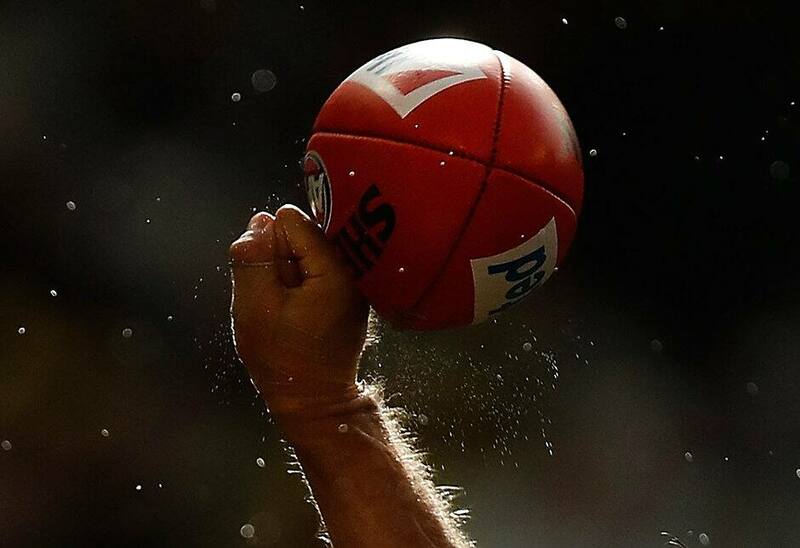 Knocking the ball away from a marking contest preventing an opponent from taking a mark. Spoils directed straight to a teammate. Spoils directed straight to an opposition player. Using physical contact to prevent an opponent in possession of the ball from getting an effective disposal. Winning possession of the ball uncontested at ground level. Marks taken under no physical pressure from an opponent. Includes marks taken on a lead and from opposition kicks. Possessions gained whilst under no physical pressure, either from a teammate's disposal or an opposition's clanger kick. Includes handball receives, uncontested marks (including lead marks) and intended ball gets from a disposal.